Looking for a cleaner, better tasting whey isolate? 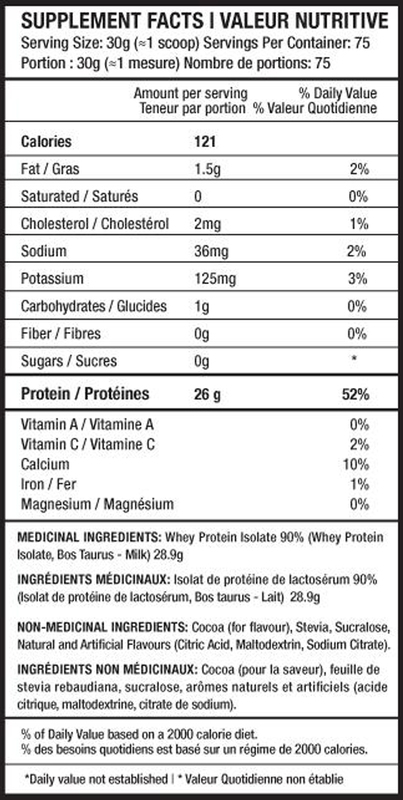 Look no further, each scoop of our BEYOND ISOLATE contains 26 grams of highly bio-available anti-biotic and hormone FREE whey protein isolate. 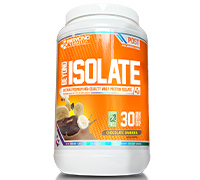 The benefits of using whey isolate are not limited to just building muscle. In fact, BEYOND ISOLATE can also be used as a meal replacement or in between meals to activate metabolism and increase daily protein intake. For an added bonus, we have sweetened it using Stevia leaf, an all natural and side effect-free sweetener, so you get amazing flavour without the calories. Adults 19 years of age or older - Mix 1 to 2 scoops of BEYOND YOURSELF BEYOND ISOLATE once daily (or as required to meet your daily protein requirements) with 8 to 16 oz of cold water (8oz of water to each scoop) immediately before consuming and blend with a spoon or use a shaker bottle. Consume within 90 minutes of exercise.